You can also download growing cards produced from Growing from My Roots, below. 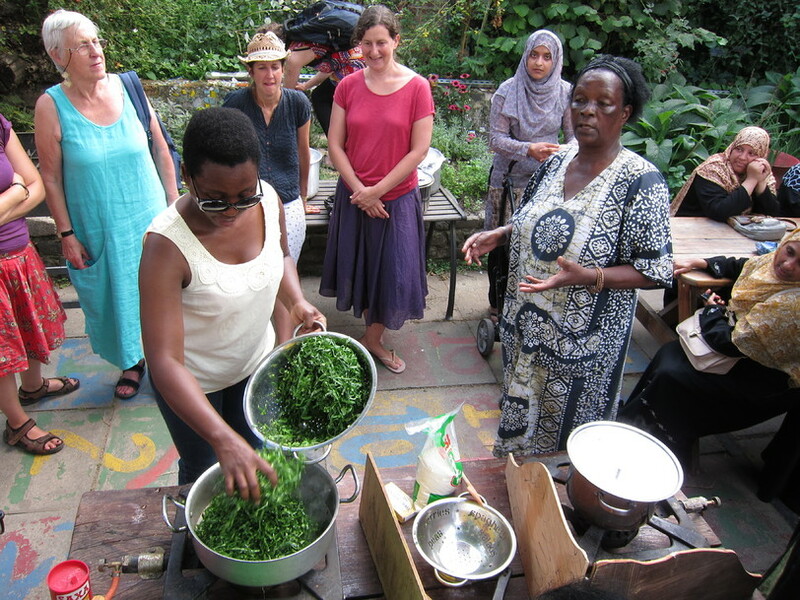 The project documents the oral history and culture of food growing withing multicultural communities in the West Midlands. This project is supported through the National Lottery by the Heritage Lottery Fund. These are A4 fact sheets give detailed growing information about growing unusual crops. These cards present the basic facts for growing unusual crops and are useful as a point of reference for schools or community groups. See if you can match the seeds with the plants and the names! This game contains photos of 12 different unusual crops and is a useful resource for schools and community groups. We filmed people preparing dishes from Ivory Coast, Gujarat and Jamaica. You can also download our recipe sheet here. Garden Organic carried out a review in conjunction with the University of Birmingham to examine the role of growing exotic crops in genetic conservation and food security. The percentage of growers over 70 was far higher for Caribbean growers than British white growers. This is a clear message that the knowledge for cultivating exotic crops is in danger of being lost as information is not passed on to younger generations. We found that a significant proportion (38%) of the exotic crops are grown from self-saved seed. This is important as it indicates that these crops are diversifying and adapting to local conditions. It is encouraging to find that 73% of growers swap seeds with others—another way of increasing crop diversity, and ensuring that rare varieties are grown and not lost. This review has highlighted the importance of allotment plot-holders in conserving both traditional and exotic crops and the vital role of exotic crops in the UK’s multicultural society. Critically, the long-term security of allotments is vital for the preservation of this important source of knowledge and resources for food security. Our charity brings together thousands of people who share a common belief - that organic growing is essential for a healthy and sustainable world. Through campaigning, advice, community work and research, our aim is to get everyone growing ‘the organic way’.